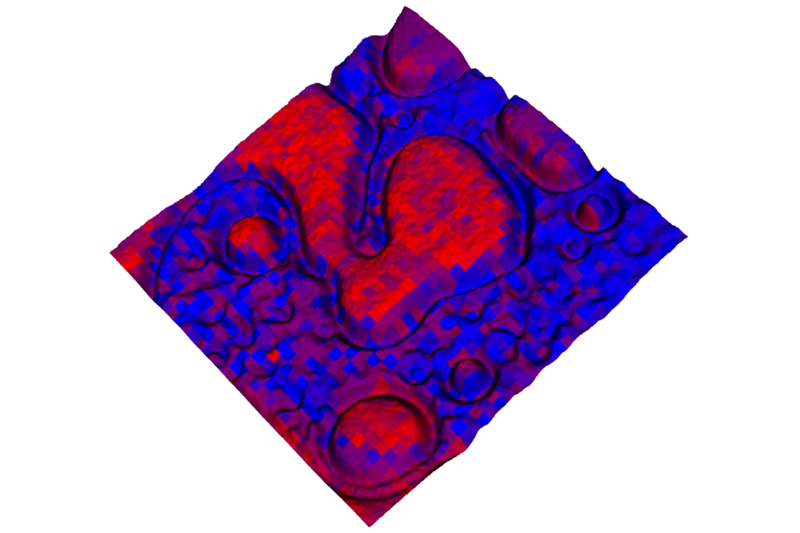 OAK RIDGE, Tenn., Nov. 6, 2015 – A tool that provides world-class microscopy and spatially resolved chemical analysis shows considerable promise for advancing a number of areas of study, including chemical science, pharmaceutical development and disease progression. The hybrid optical microscope/mass spectrometry-based imaging system developed at the Department of Energy’s Oak Ridge National Laboratory operates under ambient conditions and requires no pretreatment of samples to analyze chemical compounds with sub-micron resolution. One micron is equal to about 1/100th the width of a human hair. Results of the work by postdoctoral associate Jack Cahill and Gary Van Berkel and Vilmos Kertesz of ORNL’s Chemical Sciences Division are detailed in Analytical Chemistry. The hybrid instrument transfers tiny amounts of a material such as human tissue or an organic polymer from a sample by a laser ablation process in which material is captured and transported via liquid stream to the ionization source of the mass spectrometer. In just seconds, a computer screen displays the results. Researchers noted that the resolution of less than one micron is essential to accurately differentiate and distinguish between polymers and sub-components of similar-sized cells. This technology, however, provides the long-sought detailed chemical analysis through a simple interface between a hybrid optical microscope and an electrospray ionization system for mass spectrometry. Funding for this research was provided by DOE’s Office of Science. The National Institute of Drug Abuse-Intramural Research Program, National Institutes of Health provided the mouse brain tissue. Instruments were provided on loan through a cooperative search and development agreement by Sciex (http://sciex.com), a supplier of life science analytical platforms and licensee of ORNL technologies. The paper is available at http://pubs.acs.org/doi/abs/10.1021/acs.analchem.5b03293.